Being the third generation leader of East Malaysia's largest consumer packed goods distributor, this Generation T lister shares important knowledge about working for a business that involves your family. 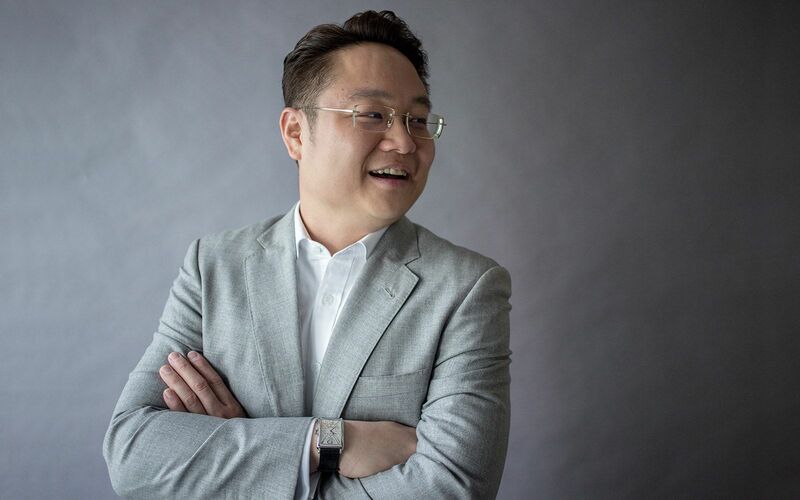 "You can get exposed to many disciplinaries and many departments of a business at an early stage when you're working for your family, are at your highest learning curve and eager to learn," says Dexter Lau. Lau is the executive director and third generation leader of Kim Teck Cheong Consolidated Bhd, a public listed company that is the largest consumer packaged goods distributor in East Malaysia. In a conventional job role, Lau explains that most professionals start their career "curious" and "hungry" to learn, but would most probably only have the capacity to work on a specific job role of a company and master said role in order to move up the ranks. Contrast this with a family business, where Lau says he was able to dip his feet in all aspects of the business to develop his skills at a much faster rate. This proved crucial to him in his formative years, one that enabled him to immerse himself in the organisation as he one day planned to take over the reigns and grow the company further. "Working for a family business, you definitely need to put your heart into building it as a whole, whereas in a traditional working environment, there are systems in place already prepared for you," says Lau. "When dealing with your own business, you need to establish processes, policies and governance that will help you organise your company," he adds. Lau identifies this as the main challenge of running a business that's associated with not only your legacy on the line, but also those of your predecessors. Forging out your organisation's identity and modus operandi is a key challenge for each and every business owner that wants to create a lasting company culture. This will also affect the type of people that works for you. The values set in place by Lau's grandfather and father will, according to him, "never go out of fashion". "Modernisation is just a matter of making yourself more efficient, it's got nothing to do with making the company more glamarous. Efficiency then leads to effectiveness, which would affect the ability to adapt to your business surroundings," says Lau. Some of the key values and principals that Lau picked up from his predecessors – integrity, trust, honesty, respect – are things that he knows he will pass on to the next generation. "Whether the next generation will use whatever I have built today is immaterial, as they will further use the values I have imparted to establish their own vision of the company, fine tweak them and decide policies that will best suit the environment of tomorrow,"
A word of advice from Lau, those wishing to craft a lasting legacy for themselves shouldn't put their hopes too much on the future and instead focus on the present. "You should always built something for yourself first before thinking too far ahead," says Lau. When attempting to create your own business and forge a successful path for yourself, it may be lucrative to dream of creating a long lasting company and one day passing it on to an heir, but don't get caught up in it. "Try to encourage yourself to reach for the stars and to challenge the status quo so that you constinuously build your capabilities, your network and even the way you think so that you can actually pass on these lessons to the next generation. I think this is even more important than passing on a business to your children," he adds.